15 years and amateurish shooting practice instinctive bow in the form of 3D Forest Tour. Now I have the opportunity to train under the supervision of technical Elias Cuesta Cobo, representative of the Spanish archer archery team at the Olympics in London. 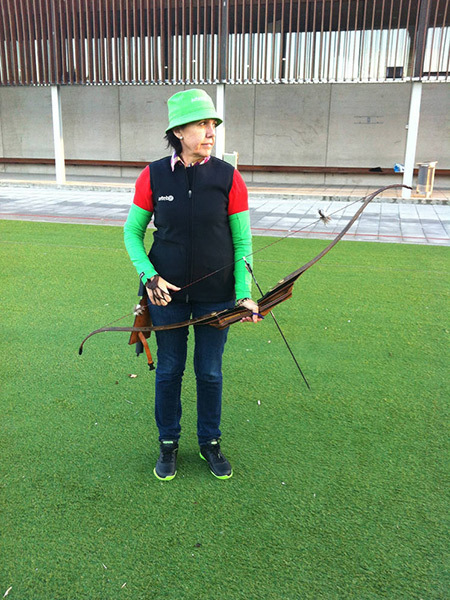 I have been selected to represent various issues with instinctive Spain recurve bow in European Championships and World. The last World Championships held in Terni (Italy) in September 2015, won team gold medal together with my colleagues and Encarna Garrido Elena Rodriguez. And 3D world runner-up team in Genoa (Italy) in 2005. * Champion of Spain nine times in the form of 3D forest. * 3D Four runners-up Spain.